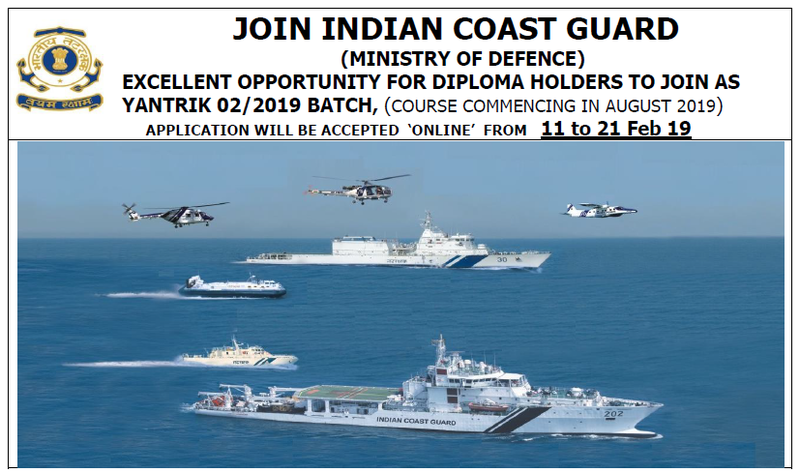 Applications are invited by the Indian Coast Guard from Indian male candidates possessing Engineering Diploma in Electrical Engineering / Mechanical Engineering / Electronics & Telecommunication Engineering & Other Engineering Branches and age, as prescribed below, for recruitment to the post of Yantrik in the Indian Coast Guard, an Armed Force of the Union. 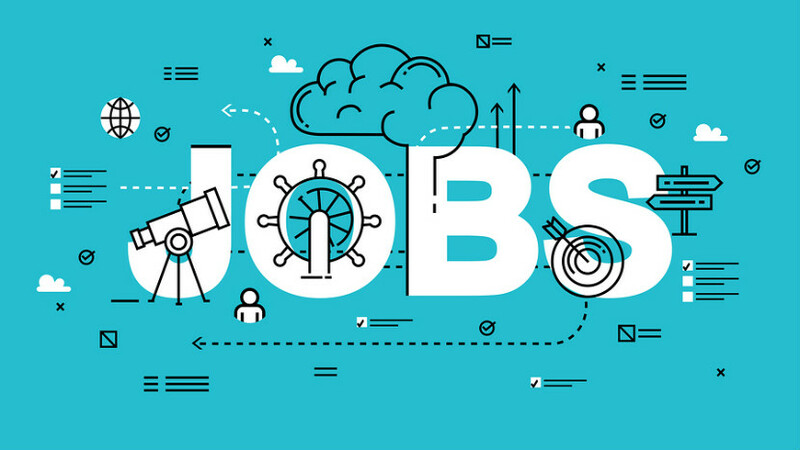 Candidates are requested to check eligibility criteria from below and apply online for these posts from 11 to 21st February 2019. Salary / Pay Scale: On joining Indian Coast Guard, you will be placed in Basic pay Rs. 29200/- (Pay Level-5). In addition, you will be paid Yantrik pay @ Rs. 6200/- plus Dearness Allowance and other allowances based on nature of duty/ place of posting as per the regulation enforced time to time. Educational Qualification: Matriculation or equivalent and Diploma in Electrical Engineering / Mechanical Engineering / Electronics and Telecommunication (Radio / Power) Engineering with 60% in aggregate. Age Limit: Minimum 18 years and maximum 22 years i.e. between 01 Aug 1997 to 31 Jul 2001 (both date inclusive, upper age relaxation of 5 years for SC/ST and 3 years for OBC category candidates). Selection Process: Selection will be based on Written Exam, Physical Tests & Medical Tests. Application Fees: No Fees Is Required to Apply for These Posts.